Sure, we have a pretty great job, where we are actually getting paid to learn how to make pie. But every once in awhile another attractive offer flies across our desks—and this one includes the advantages of a relocation to England along with a dream schedule. 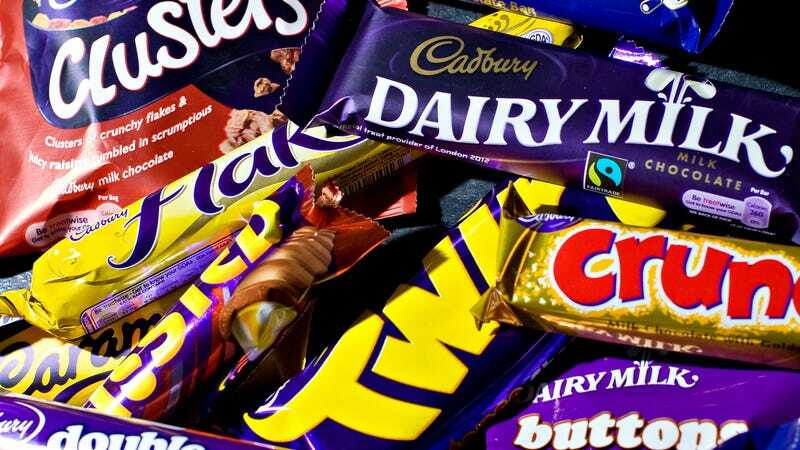 Wide Open Eats announces that Mondelez International, the parent company for Cadbury candy and Oreo cookies, “has three ‘taster’ positions open: two Chocolate Tasters, and one Chocolate and Cocoa Beverage Taster. Each of the jobs require 7.5 hours a week, for a short shift three or four days a week” in the consumer science room at the University Of Reading. The only question we have is, do we stick with the straight-up chocolate, or venture also into the magical cocoa beverage arena? The article tries to warn that the job isn’t necessarily the dream that it sounds: “You have to be passionate about chocolate. But you also have to be objective and honest with your feedback. You work with a team to share opinions and reach an agreement on what tastes good.” Despite these cautions (which, frankly, sound like the kind of descriptions that could apply to many jobs, about being “honest” and working “with a team”), the company has previously been flooded with applicants for similar jobs: “A previous position announcement received 6,000 applications in total, with 1,500 of those submitted in the first 24 hours after the ad was posted.” Wannabe chocolate experts are encouraged to apply at the Mondelez website post haste; the deadline is Friday.